Capt. 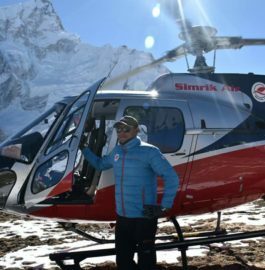 Siddartha J. Gurung, a well-known name in the aviation sector of Nepal is one of the best helicopter pilots with more than 20 years’ experience in flying in the mountainous terrain. He has in excess of 7,000 helicopter flying hours. He operates all modes of aircraft operations (VIP Operations, Rescue Missions, Passenger and Cargo Transportation to Remote Areas) as well as support missions in developing remote areas of Nepal with skill and professionalism. 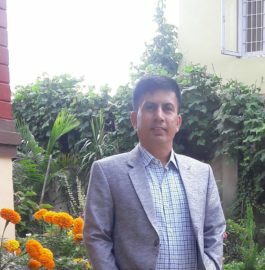 His experience and expertise have been recognized by various national and international groups for saving lives of many locals and tourists in the Himalayas. Holds Certificate as a trained pilot from Air Zermatt for Human Cargo Sling Rescue Operations. Capt. 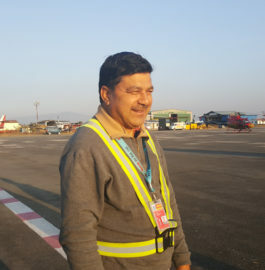 Surendra Paudel is one of the well-known and experienced pilots in Simrik Air. He served as a Major in Nepal Army flying for more than 10 years. He became a commercial pilot in 2010 and since then, has been flying with Simrik Air. His skill and experience is recognized by various national and international groups for saving many lives of trekkers and climbers in the Himalayas during September 2012 avalanche in Mt. Manaslu and during Everest Avalanche in April 2014. He is also a trained sling pilot and regularly flies into missions to support developmental project in the remote areas of Nepal. He has received Long Line (Human Cargo Sling and External Cargo Sling level 2) training at Air Zermatt, Switzerland, Commercial Helicopter Pilot FAA from LongHorn Helicopters, USA. Chief Pilot at Simrik Air Pvt. Ltd.
Scenic tours and operations throughout the Himalayan region of Nepal. Currently Chief pilot and Training chief of Simrik Air Pvt. Ltd.
Capt. Bibek Khadka comes with a strong army background and has in excess of 3500 helicopter flying hours in the mountainous terrain of Nepal. Capt. 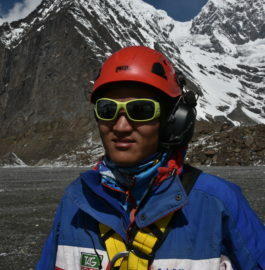 Bibek has received training in Long Line Rescue and is a certified rescue pilot from Air Zermatt, Switzerland. He also underwent Ground and Flight Training of Bell 407GXP from Bell Helicopters Training Academy, Fort Worth, TX, USA. He has received honors from the US Ranger for his contribution in training mission of the Nepal Army by US Rangers. He has also received recognition from National Sports Authority of Nepal for his Valuable Contribution on National Sports Day. 3500 flying hours (AS 350 B Series, MI-17, ALH, ALOUETTE, CHEETAH, LANCER, SCHWEIZER and 76 hours in HPT 32, a fixed wing aircraft). Aerial photography, filming, and media experience. Scenic operations throughout the Himalayan Range of Nepal. Capt. 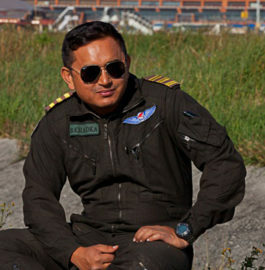 Ananda Thapa has a strong army background and has flown for the Nepal Army for 8 years. He joined Nepal Army at the age of 18 and had served as a Major. Capt. Ananda grew up in a picturesque Dhading district and becoming a pilot was a rare dream which he was able to turn into reality by sheer hard work, focus, and dedication. 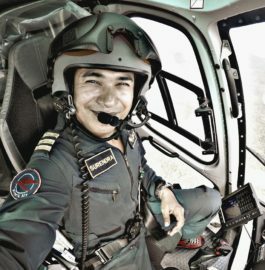 He was able to get a place for himself to be trained as a cadet officer in Nepalese army, through fierce competition and in few years made his way up getting selected among 32 other competitors to be one of the first trained helicopter pilots of Nepal. He joined Simrik Air in June 2012 and got his rating on AS 350 B3e helicopter in Fort Worth, USA. Capt. Ananda has over 3000 helicopter hours logged. 3000+ hours (AS 350 B Series, MI-17, ALH, ALOUETTE, CHEETAH, LANCER, SCHWEIZER). Scenic operations throughout the Himalayas of Nepal. Sling and long line rescue operations. Capt. 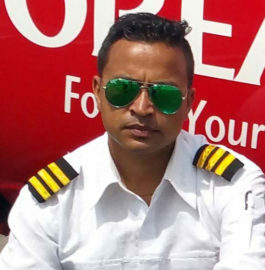 Hareram Thapa is among our newly trained pilots. He completed his CPL training in Philippines in both Rotary and Fixed Wing Aircraft. He Â currently underwent flight training with Capt. Siddartha J. Gurung on AS 350 B3e aircraft and has successfully achieved Pilot in Clearance (PIC) in Rotorcraft. HeÂ joined Simrik Air in March 2011. Capt. Rajendra Duwal has been with Simrik Air since June 2011 and is also among our newly trained pilots. He completed his CPL training in Philippines. He currently underwent flight training with Capt. 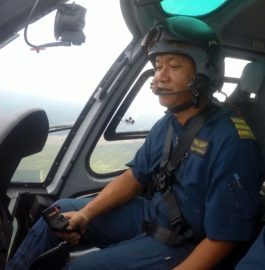 Siddartha J. Gurung on AS 350 B3e aircraft and has successfully achieved Pilot in Command (PIC) clearance in Rotorcraft. 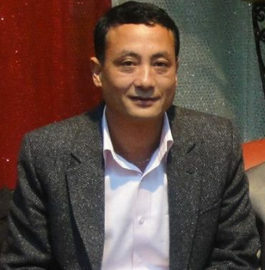 Lt. Col. Bishnu Basnyat (Retd.) has 45 Years of experience in the field of Helicopter Maintenance. He has been awarded with various governmental and non-governmental awards. He is also a Civil Aviation Authority approved Instructor. He has been acknowledged by the Ministry of Civil Aviation to conduct investigation of air crashes as a senior member. Er. Dhruba Raj Bhandari is a CAAN Aircraft Maintenance License holder and is working with Simrik Air as a Production Planning Manager. He has been serving the aviation industry for the past 42 years. He has worked with Heli One Inc & Trans Aero, USA. He is also a Civil Aviation Authority approved Instructor. Er. 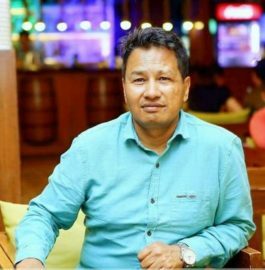 Om K. Shrestha is a CAAN E, I & R License holder and has been serving the industry for the past 32 years. He is a CAAN approved ground instructor and is working as a Planning Manager atÂ Simrik Air. Er. 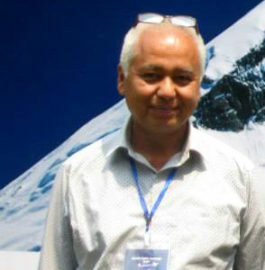 Prachanda K. Malla is serving the aviation industry for the last 17 years. He is the holder of CAAN A & C and has been working with Simrik Air as a Continuing Airworthiness Manager and Aircraft Maintenance Engineer. Er. 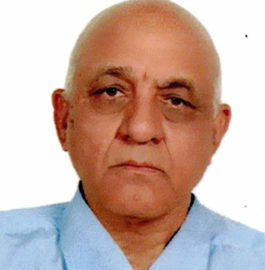 Manit Acharya is responsible to assist in controlling and filing of all documents related to maintenance work of aircraft and aircraft components. He is working as an Assistant Manager in Simrik Air. 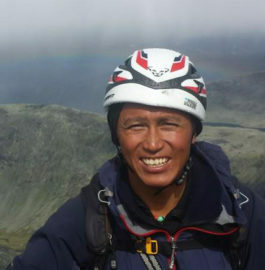 Chhiring is a specialist in technical climbing and an avid mountaineer. At the age of 21, Chhiring summitted Mt. Everest as part of an expedition guide. Now, Chhiring has established himself as a certified Rescue Specialist in Nepal. In 2012, Chhiring with 3 other Mountain guides were sent to Zermatt, Switzerland by Simrik Air to participate in a special training to be a Helicopter Rescue Specialist. Air Zermatt, a prominent Rescue Service provider in Switzerland was their new home during their month long training. There, along with other participants he completed the training to be a long line Rescue Specialist and became certified Rescue Technician. In 2014 alone, Chhiring has successfully flown in numerous lifesaving missions with Capt. Siddhartha J. Gurung and Capt. Jason Laing. 5 of those missions were then using long line above 18,000 ft. where Simrik Air was successful in saving many lives in the mountains. 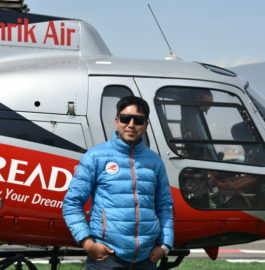 Tshering is a leading Long Line Helicopter Rescue Specialist at Simrik Air. He was one of the three mountain guides to be sent to Zermatt, Switzerland in 2012 by Simrik Air to receive a special Helicopter Rescue Specialist training and has become a certified Rescue Technician. He has been a part of various long line Rescue Missions and has successfully saved many lives. Moreover, he is also an IFMGA/NNMGA Certified Mountain guide. He has climbed Mt. Everest, Mt. Dhaulagiri, Mt. Cho-Oyu, Mt. Ama Dablam and many other mountains as a guide.